You are here: Home / News & Views / Blog / Are Your Children Eating Cereals Listed in the Hall of Shame? The Environmental Working Group researchers recently ranked more than 1500 #cereals by their total #sugar content, total weight and compared the findings with guidelines issued by federal health agencies and other organizations. What is most disturbing is that they also re-evaluated the list of 84 popular cereals evaluated in 2011 for comparison. Results… not one on the 2011 “worst” list had lowered its sugar content over the last three years. 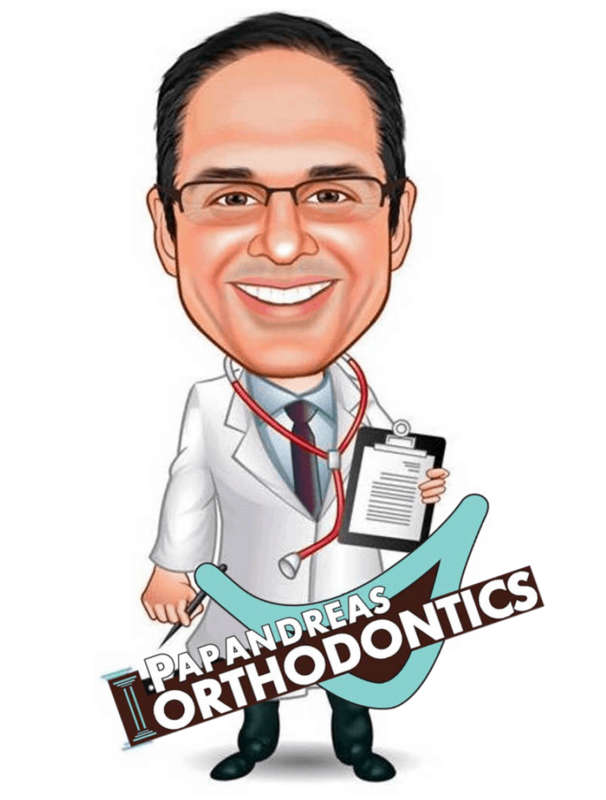 At Papandreas Orthodontics we recommend our patients follow a healthy diet that is low in sugar not only for patients wearing braces, but for all members of your family. 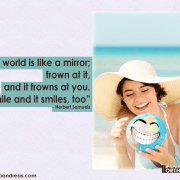 The results are eye opening and worth bringing to your attention. Many kids are attracted to the cartoons on the boxes in the shopping aisles and will often choose a #cereal as a snack vs eating other types of foods or deserts. A single serving can contain nearly as much sugar as three Chips Ahoy cookies, and more than two Keebler Fudge Stripe cookies. Since serving sizes listed on the boxes are very small, even #sugar conscious moms are feeding their kids more than they realize. Food and beverage companies established the Children’s Food and Beverage Advertising Initiative in 2006. Their goal was to recognize it as a “part of the solution to the complex problem of childhood obesity. The program, for the first seven years, called for voluntary self-regulation allowing participating companies to set their own #nutrition standards for products they wanted to advertise to children. The Initiative only began enforcing uniform nutrition criteria at the very end of 2013. 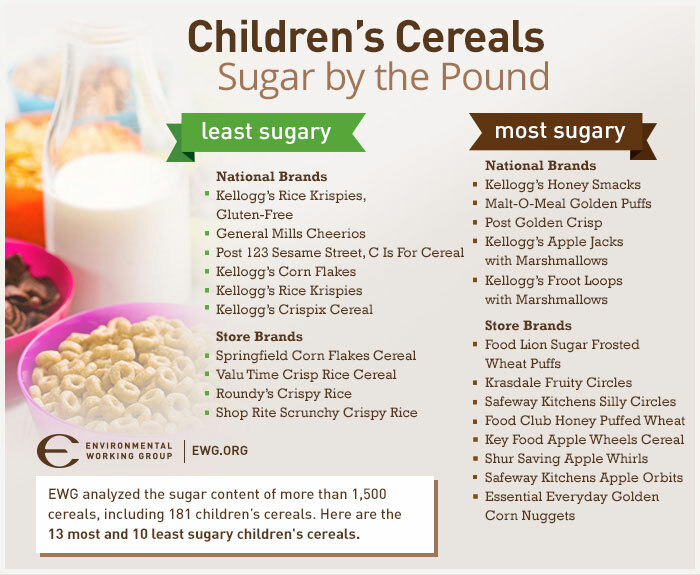 There has been some progress reducing sugar in children’s cereals over the past three years, but the overwhelming majority of children’s cereals are still too high in sugar, even though research has shown that children will happily eat low-sugar cereals. The flawed and outdated FDA rules do not benefit our children or help moms making smarter buying decisions when choosing a healthy breakfast product for children. As dental health professionals, we have been education our patients for years that sugar is harmful to teeth. The American Dental Association declares that “increased sugar in the diet increases the risk of decay” and encourages Americans to “keep added sugars in your diet to a minimum” (ADA 2013). Added sugars add calories without contributing important and under-consumed nutrients such as fiber and potassium. Over time, this can either cause under-nutrition – by sacrificing nutrient-rich foods in order to keep overall calories down – or over-nutrition and obesity. Here are EWG recommendations. Parents need to inform cereal manufactures they want more low sugar products in the marketplace by refusing to buy high sugar cereals, FDA needs to update their guidelines for nutritional facts, and manufacturers should lower the sugar content of their cereal as well as discontinue misleading information when marketing their products. In a perfect world, our children would not be at risk. In today’s consumer market, buyers beware till further notice! https://drpapandreas.com/wp-content/uploads/2016/04/logo-dr-papandreas.png 0 0 Dr. Sam https://drpapandreas.com/wp-content/uploads/2016/04/logo-dr-papandreas.png Dr. Sam2014-08-03 12:06:502016-04-14 05:35:00Are Your Children Eating Cereals Listed in the Hall of Shame?